Archive by category "Arduino Projects"
In the previous course, we learned how to use the Arduino development board and how to drive a DC motor. 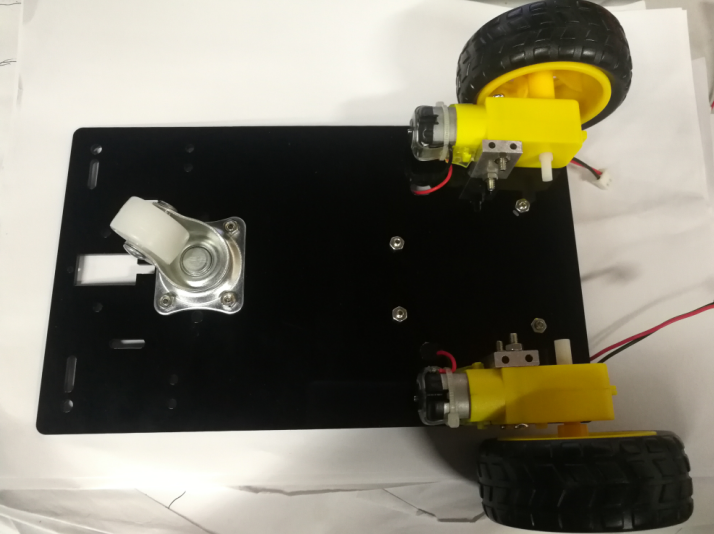 Now, we will use this kit to build a basic car robot. We will burn the pre-edited program to the UNO board. 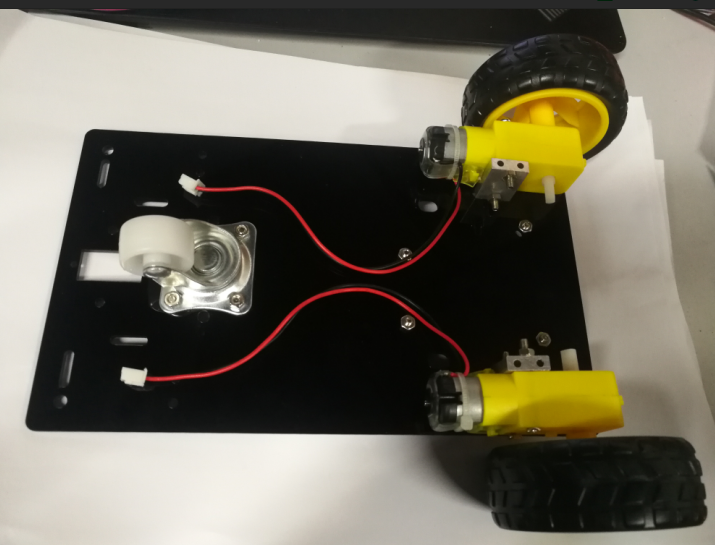 Once the robot gets power, it will go straight or rotate along a set trajectory. 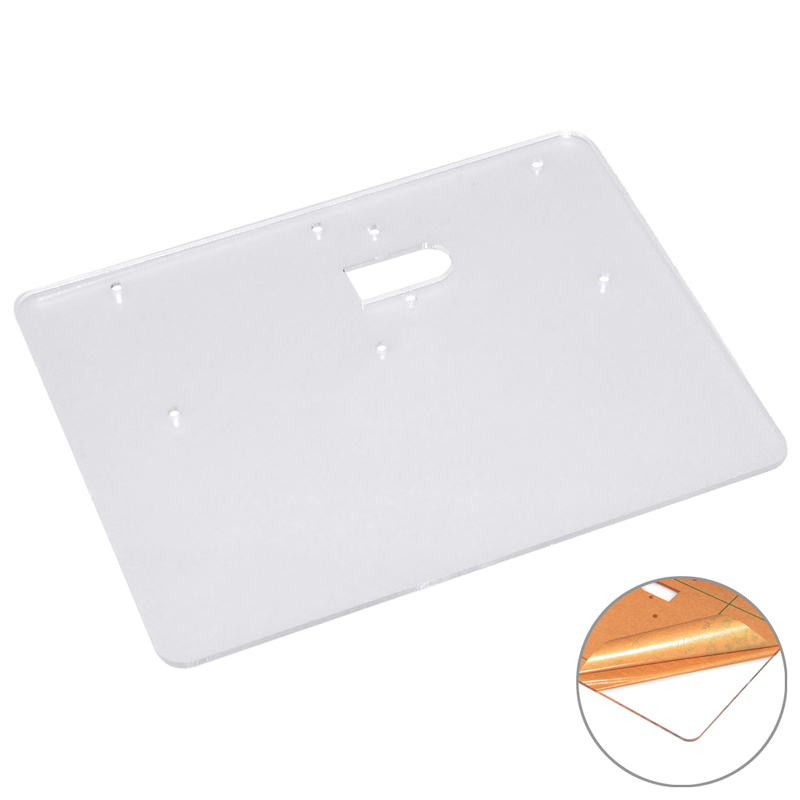 Place the acrylic platform as shown below. 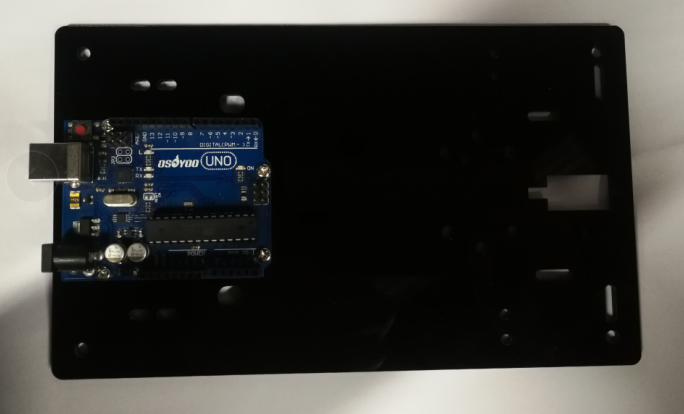 Fix the UNO board and breadboard to the acrylic platform. Turn the acrylic platform over and install the universal wheel. 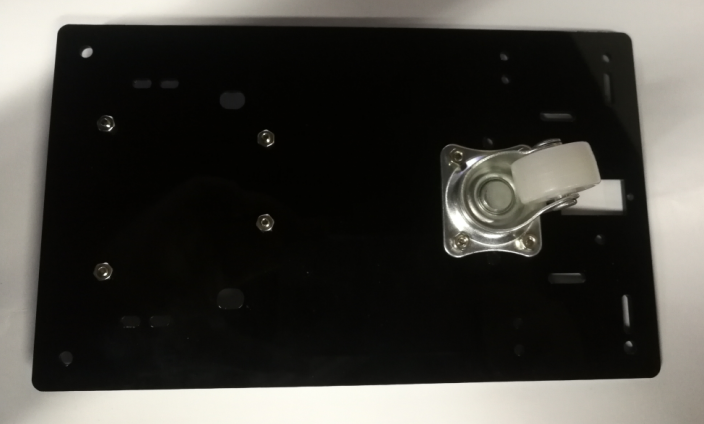 Note: When installing the screw, the force should be uniform so as not to damage the acrylic plate. 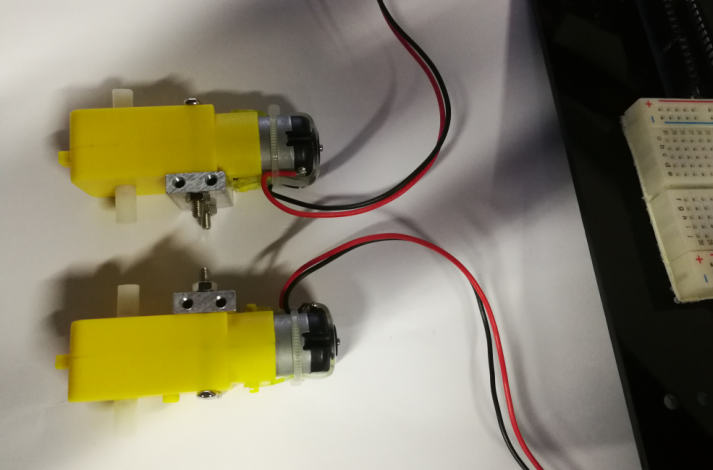 Fix the metal motor holders. 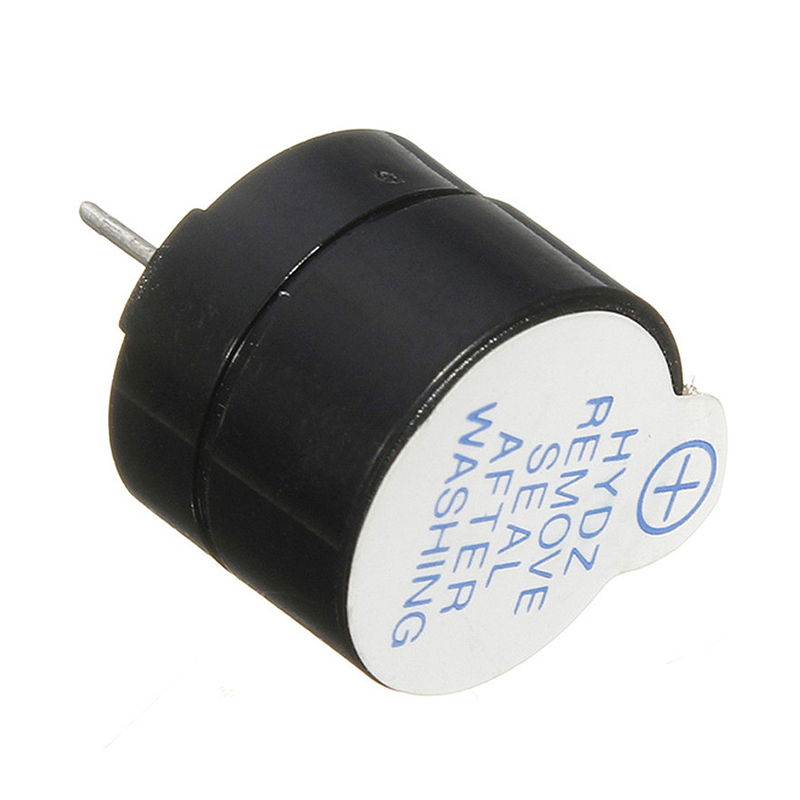 Fix DC motor to the acrylic platform. Sensors need to be placed at the entrance and exit points of the park to work as expected. Basically, you increase the number of times everyone comes in, and decrease the number of times they go out. Click Save aftogramming is done. 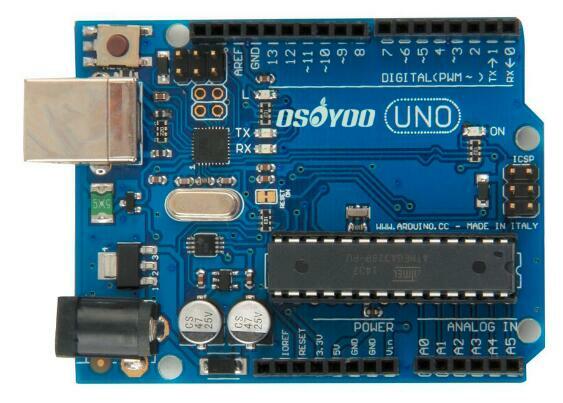 Select the board type and serial port to upload the code to the UNO board. Every visitor comes in(D2 triggers interruption), the number of parks on the display is increased by one. Every time a visitor goes out(D3 triggers interruption), the number of parks on the display is reduced by one.. 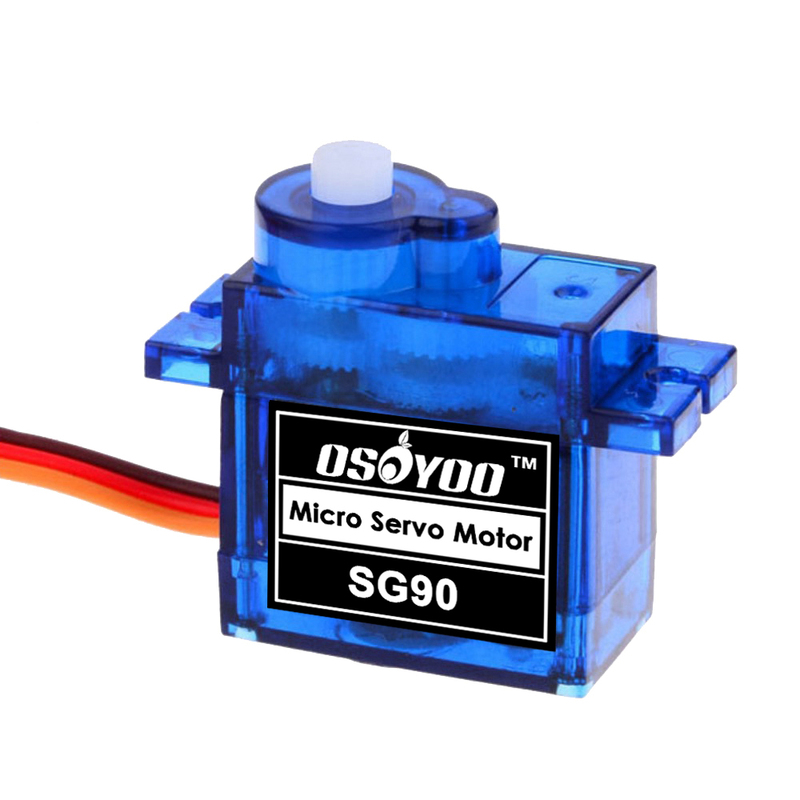 The OSOYOO IR Track Sensor is essentially an IR LED and an IR detector. 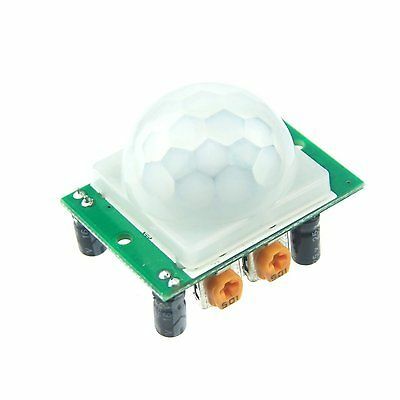 It works by transmitting a beam of IR light downward toward the surface. 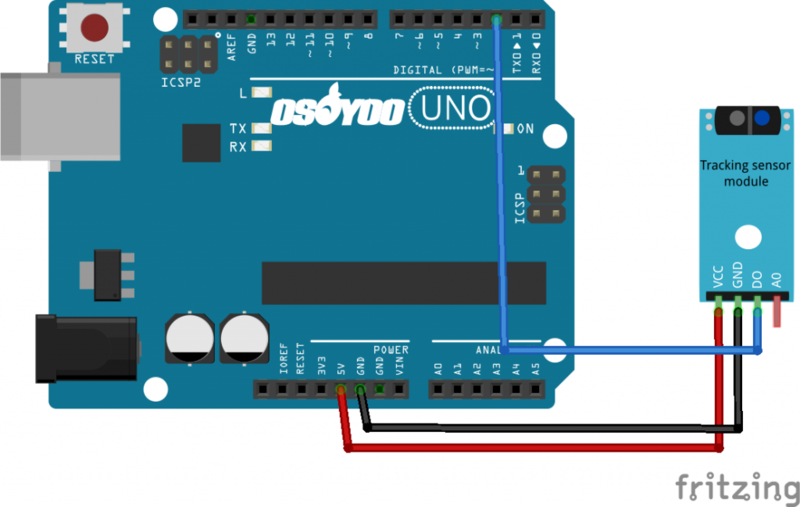 In this lesson, we will show you how the IR Track Sensor works and how to use it with the Osoyoo Uno board. 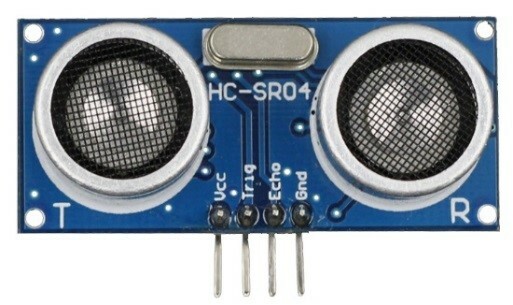 The OSOYOO IR Track Sensor is essentially an IR LED and an IR detector. 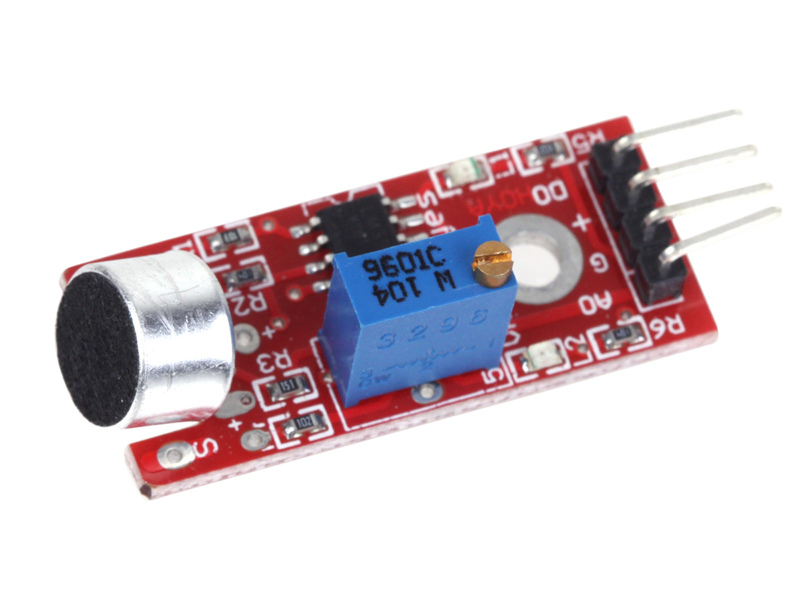 The IR emission tube of track sensor constantly emits infrared light. 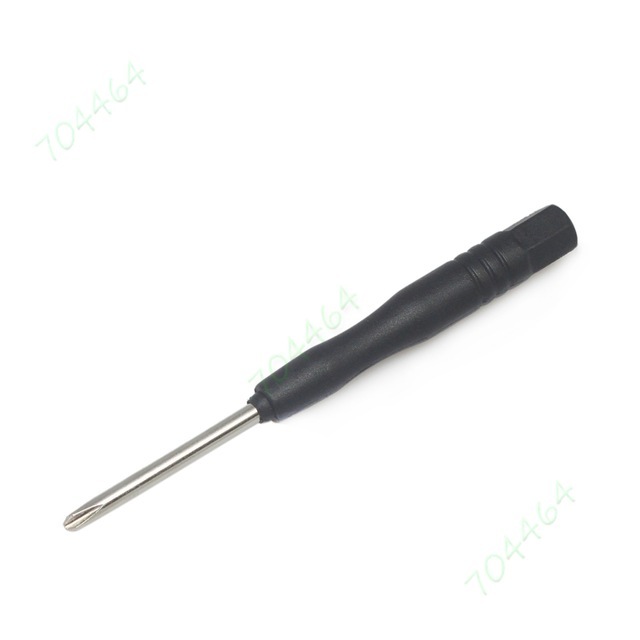 Since the black absorbs light, when the IR emission tube shines on a black surface, the reflected light is less and so less IR rays are received by the receiving tube. It indicates the resistance is large; then the comparator outputs high and the indicator LED goes out. Similarly, when it shines on a white surface, the reflected light becomes more. 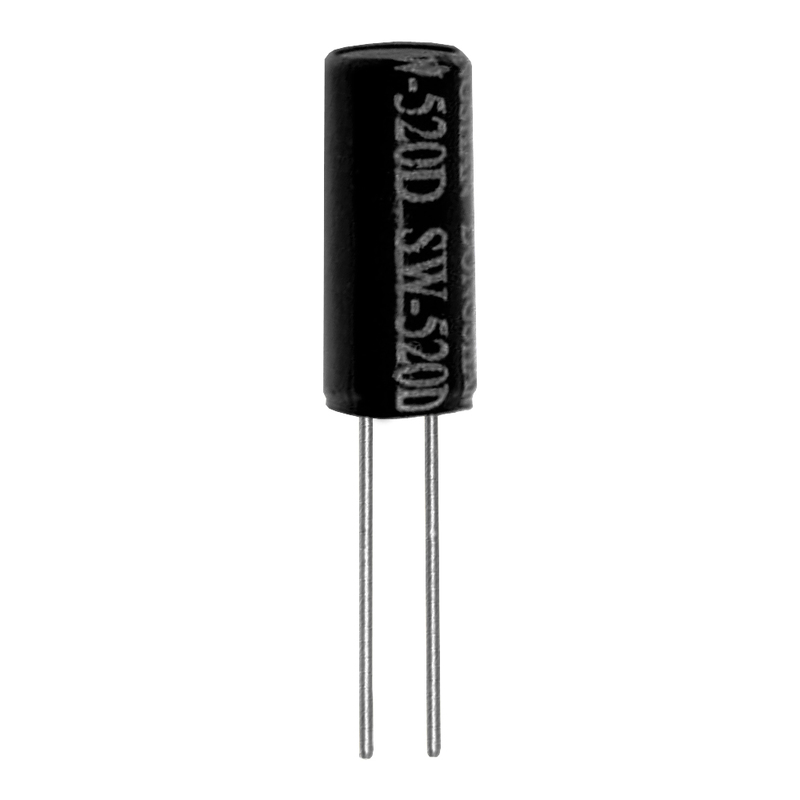 So the resistance of the receiving tube is lower; thus, the comparator outputs low and the indicator LED lights up. When the infrared transmitter emits rays to a piece of paper, if the rays shine on a white surface, they will be reflected and received by the receiver, and pin D0 will output low level; If the rays encounter black lines, they will be absorbed, thus the receiver gets nothing, and pin D0 will output high level. This acts like a simple switch when it gets close to a white / black object. 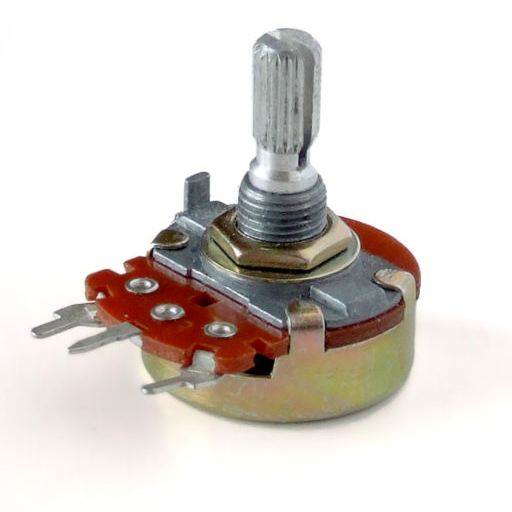 You can adjust the sensitivity with the potentiometer. It uses a LM393 Comparator chip and track sensor for clean outputs. Sensitivity: About 1 inch (2.5cm) from white paper, about 1 cm from a person’s finger. 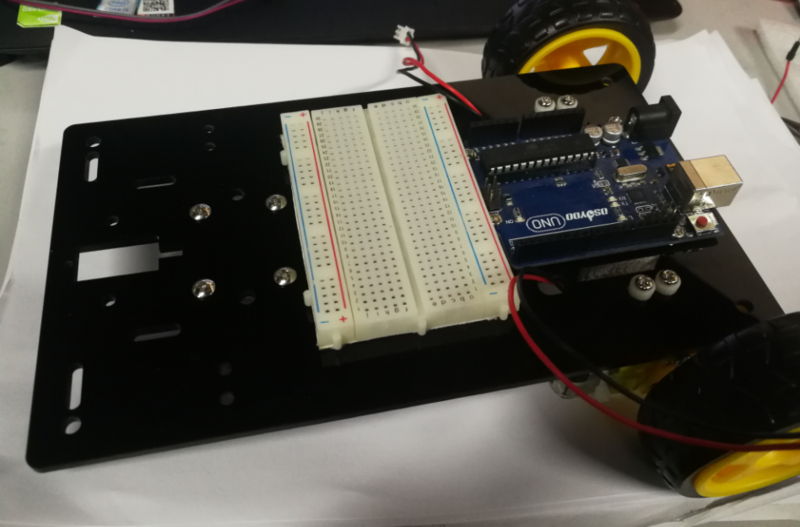 In this experiment, we will use an IR track sensor module and the on-board LED to build a simple circuit to make a tracking line. 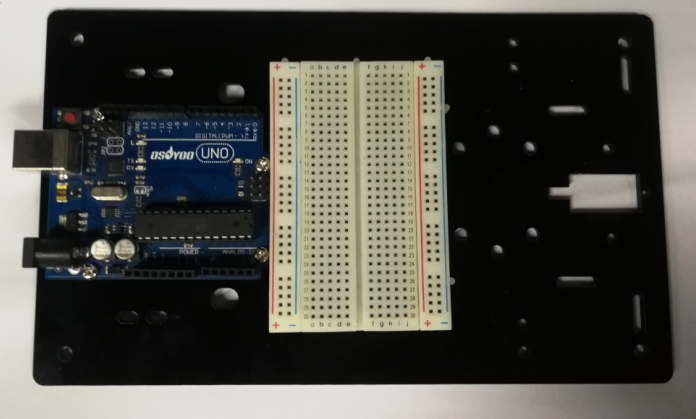 Since the LED has been attached to pin 13, connect the pin D0 to digital pin 2 of the Uno board. 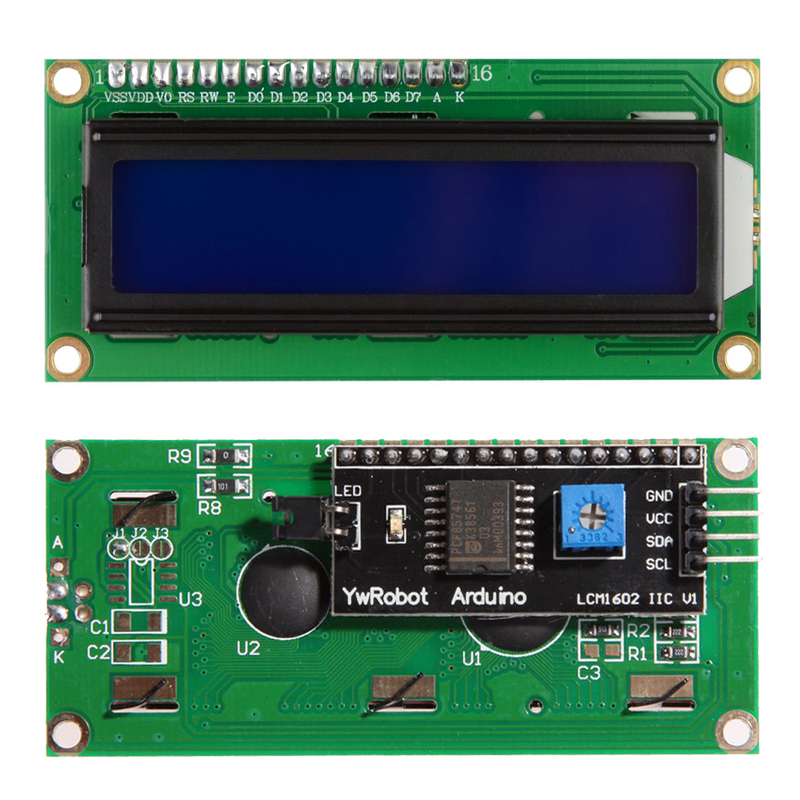 When the tracking sensor detects reflection signals (white), the LED will be on. 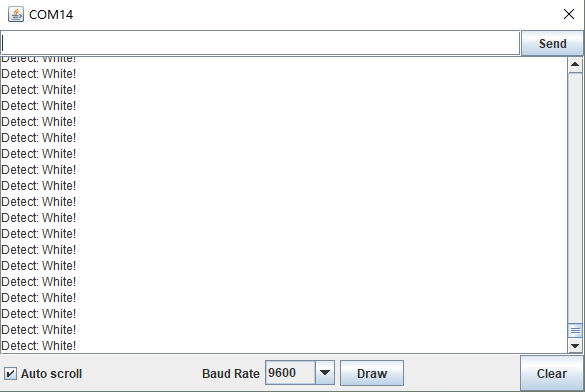 Otherwise, it will be off (black line). 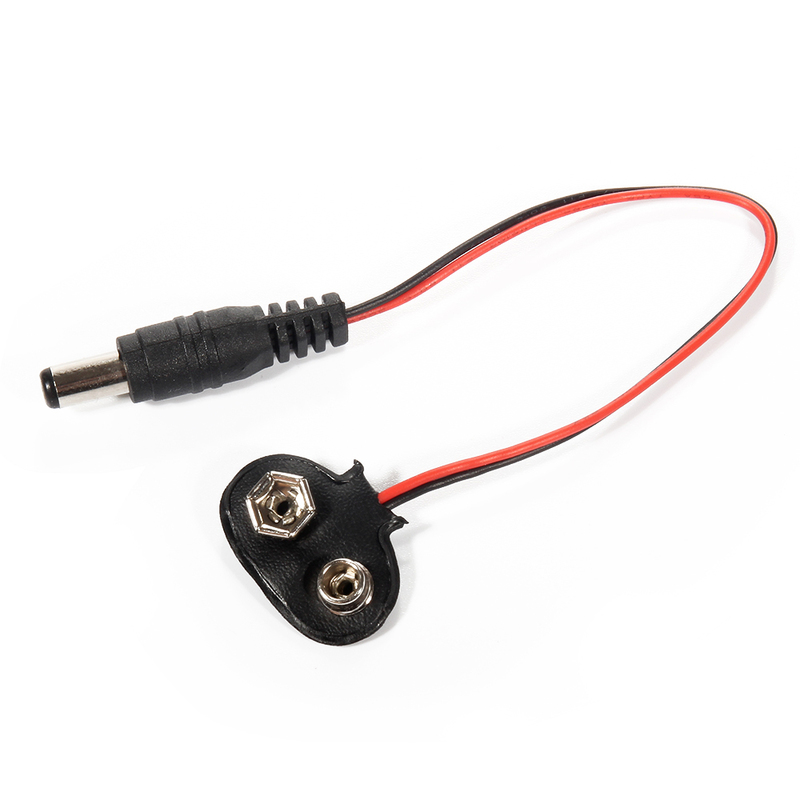 Note: The sensitivity of the infrared sensor is adjustable – you may adjust it by the potentiometer. 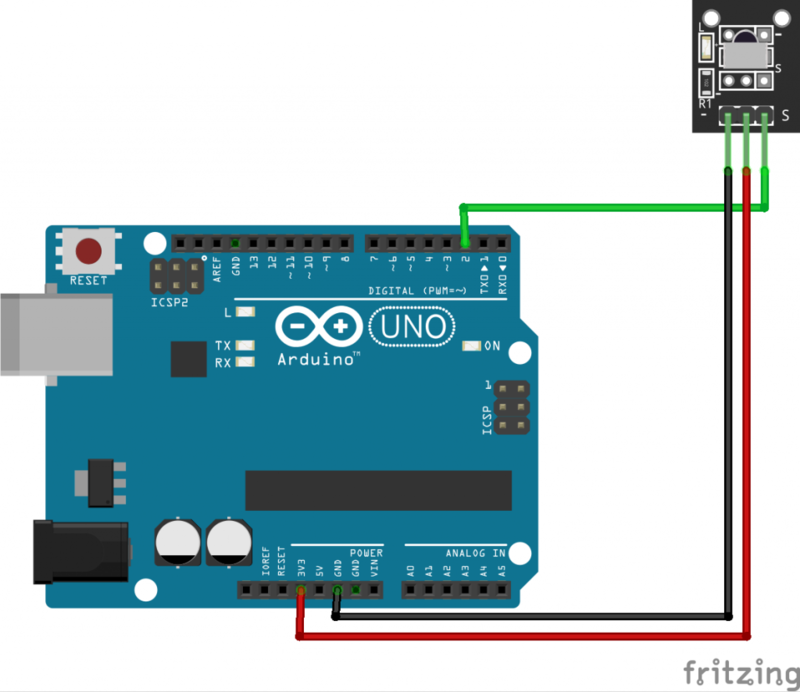 Select the serial device of the Arduino board from the COM menu. 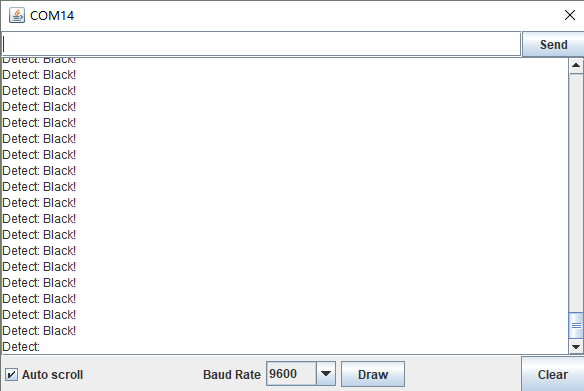 Upload the code to the UNO board. 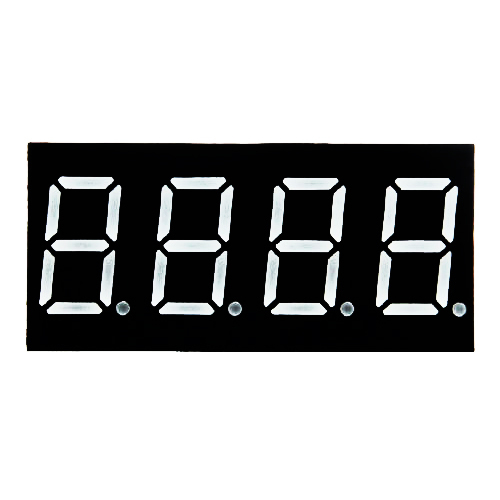 when it meets a white area, it outputs low and the LED lights up, the Serial Monitor output: “Detect: White!”. Note: The black line should be wider than the IR track sensor. 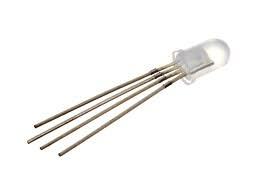 LED candles are very common these days. It’s easy to see the attraction — there’s no fire danger and they never need to be replaced (just batteries). But there’s such a wide variation in price and quality that it’s hard to know what to purchase. Some store-bought candles flicker very realistically, others just seem to blink. Some use plain white LEDs, some look like real flames. 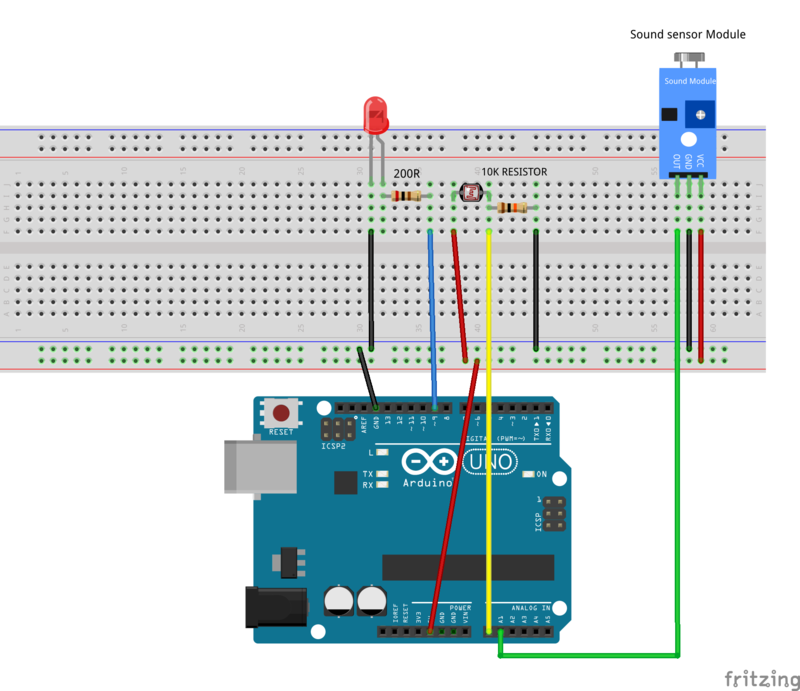 In this lesson, we’ll show you how to use sound sensor, light sensor and LED with OSOYOO UNO to build an electronic candle. 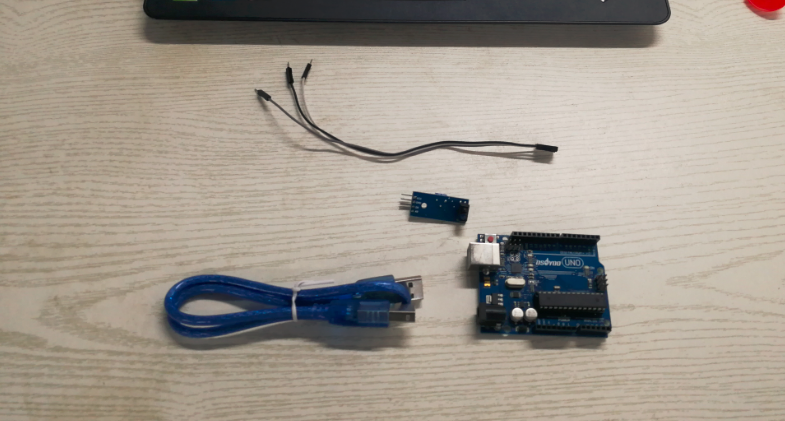 You connect the components as shown in the diagram below. 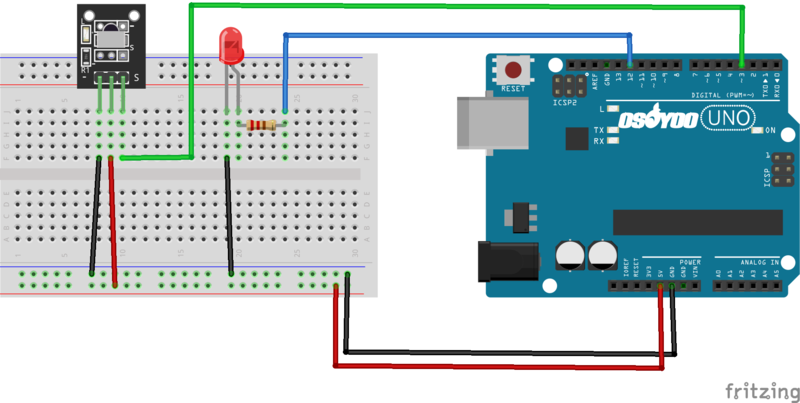 Connect the LED to pin 9 of the Arduino. 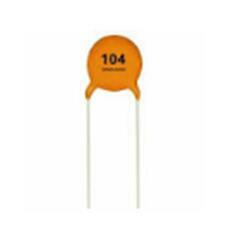 The 200 ohm resistor is current limiting resistor. 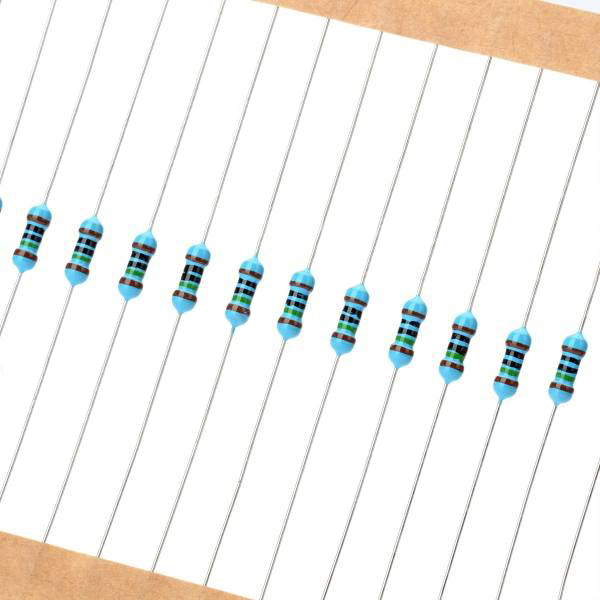 One lead of the photo resistor is connected to 5V, the other to one lead of the 10k ohm resistor. The other lead of the 10k ohm resistor is connected to ground. 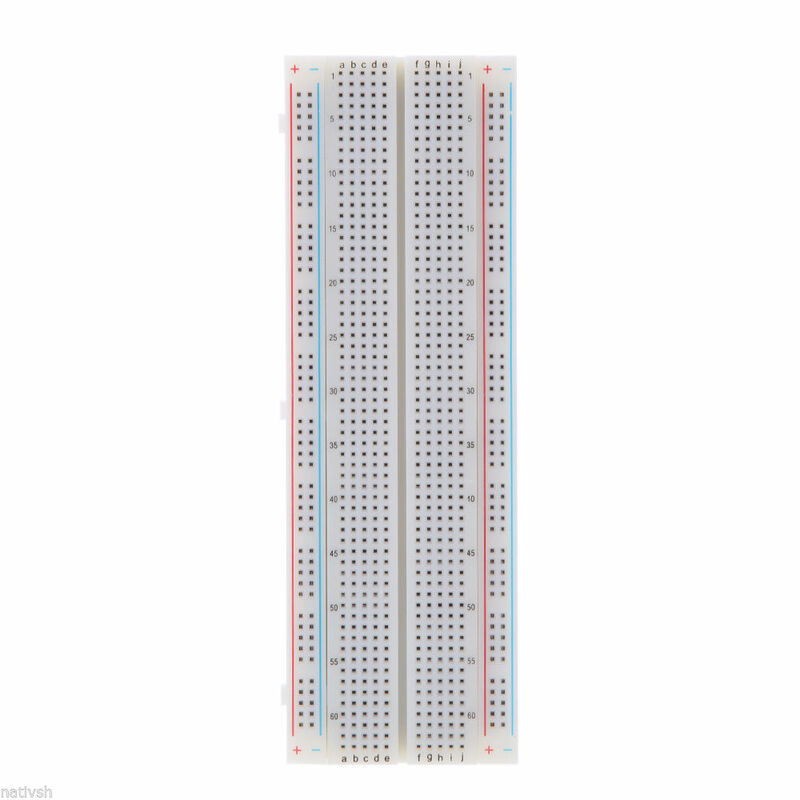 This forms a voltage divider, whose output is connected to pin A0 of the Arduino. 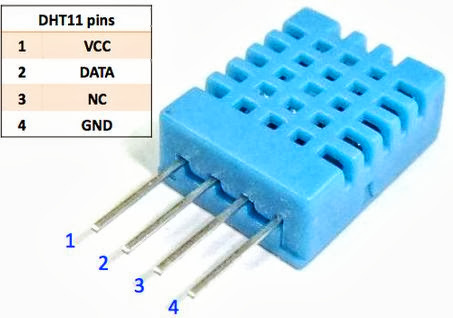 Use the A1 as the analog pin to connect with the sound sensor’s A0 pin. 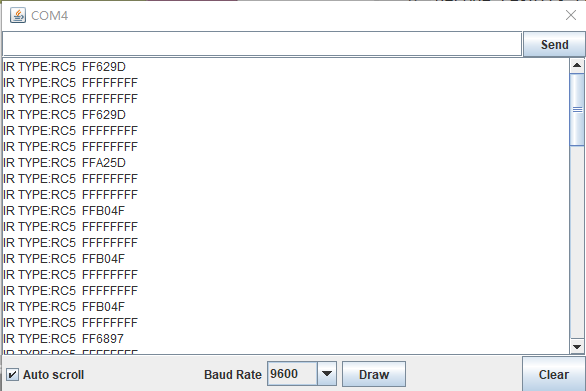 Click Save aftogramming is done, then upload the code to the UNO board. When the brightness is dark, the candle “lights up”, the flame flashes, and the sound of blowing the candle, the candle extinguishes. 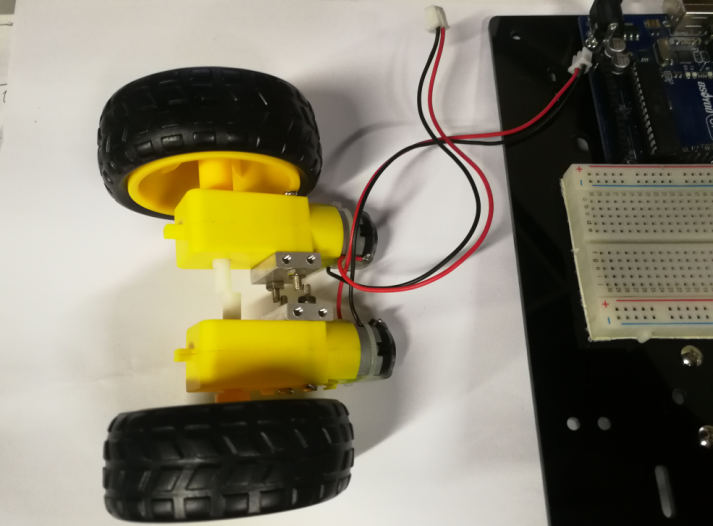 In this lesson, we will show how to use the photoresistor and sound sound sensor to work with the OSOYOO UNO board to control an LED. 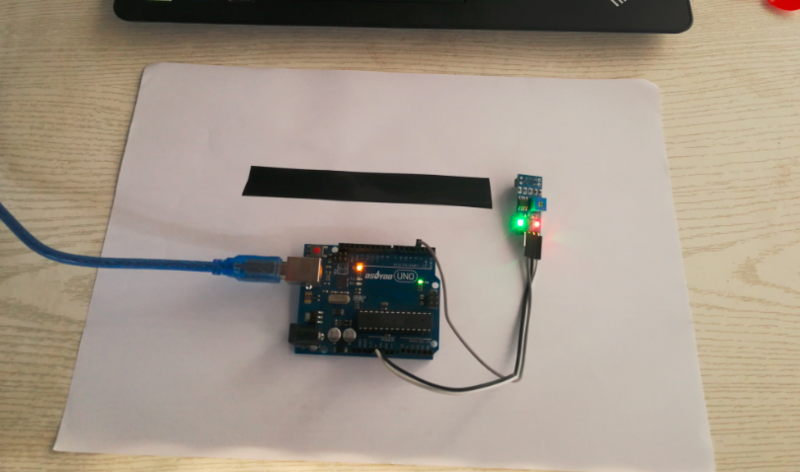 This project effectively simulates the acoustooptic light control in our daily life. In the daytime, when the corridor is not dim in the sunshine, even if the sound is loud, the corridor light will not turn on; in the night, as long as the sound exceeds the set value, the light will turn on. A few seconds after the upload finishes, when the light is dim and the sound in the environment is louder than the set value, the LED will be lit up. 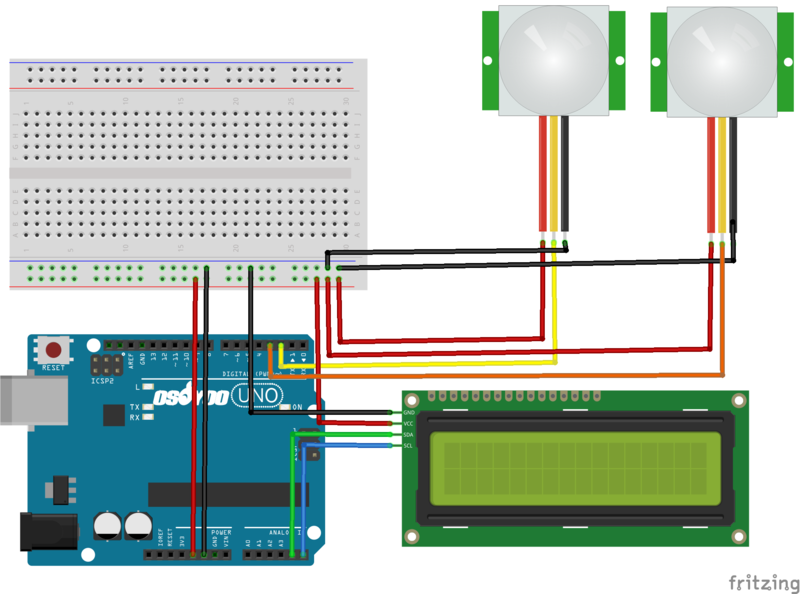 In this lesson, we will show how to use the IR control an LED. When we press the “OK” button, the LED will be turned on, and when we press the “OK” button again, the LED will be truned off. 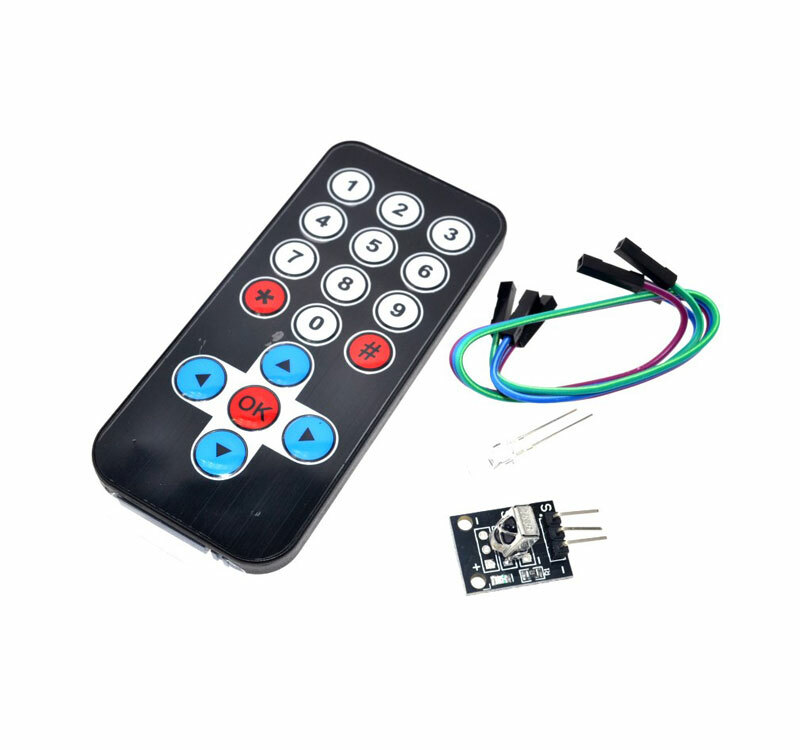 A few seconds after the upload finishes, press the “OK” button of a remote controller, the LED attached connected to D12 will be light up. Then press “OK” again, and the LEDs will go out. 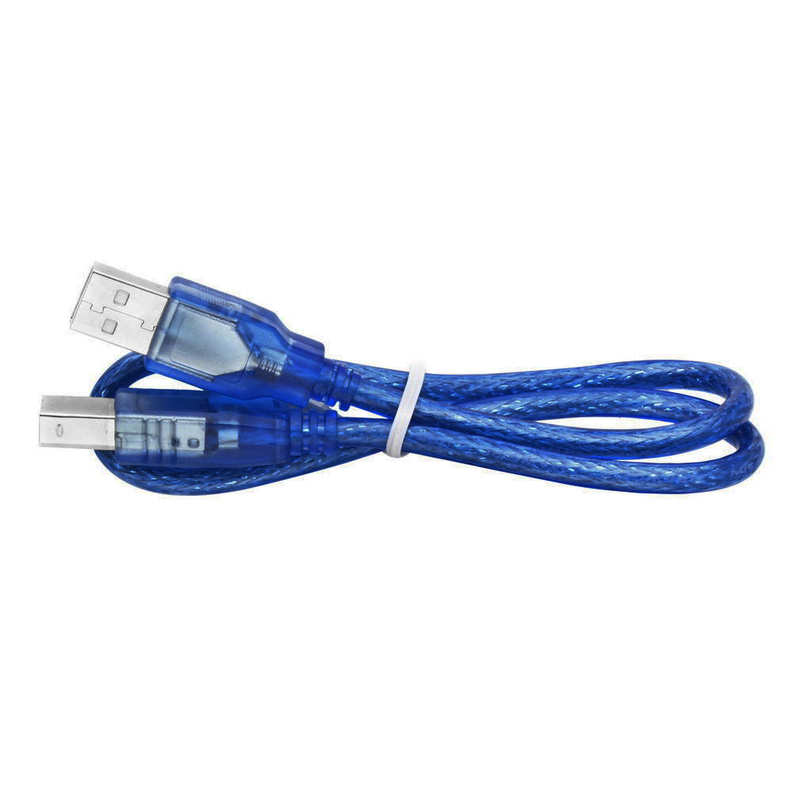 IR, or infrared, communication is a common, inexpensive, and easy to use wireless communication technology. IR light is very similar to visible light, except that it has a slightlty longer wavelength. 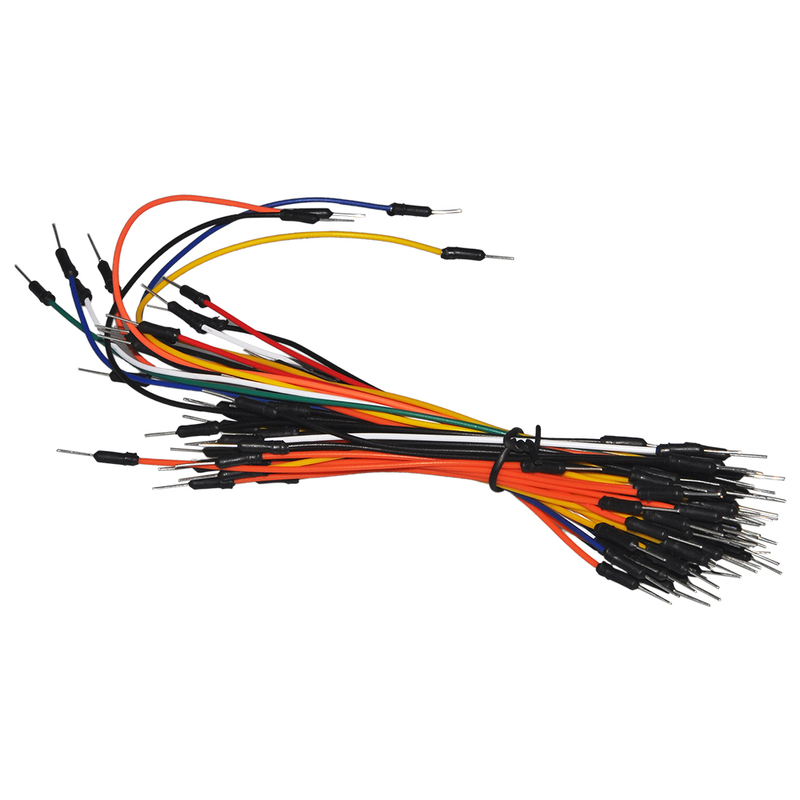 This means IR is undetectable to the human eye – perfect for wireless communication. 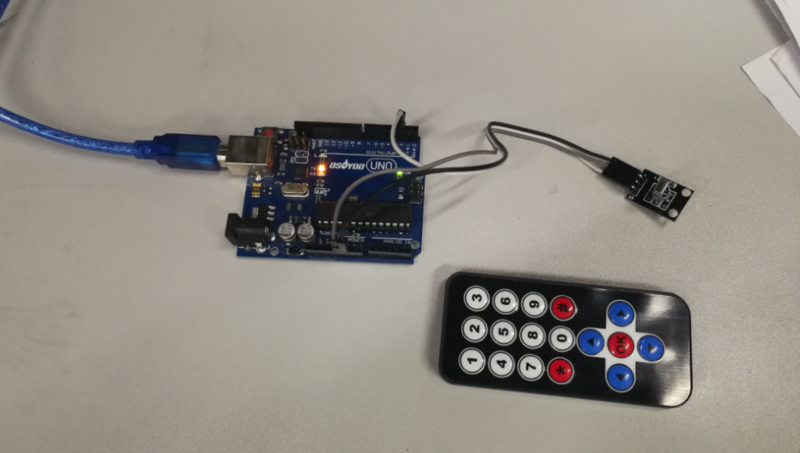 For example, when you hit a button on your TV remote, an IR LED repeatedly turns on and off, 38,000 time a second, to transmit information (like volume or channel control) to an IR photo sensor on your TV. 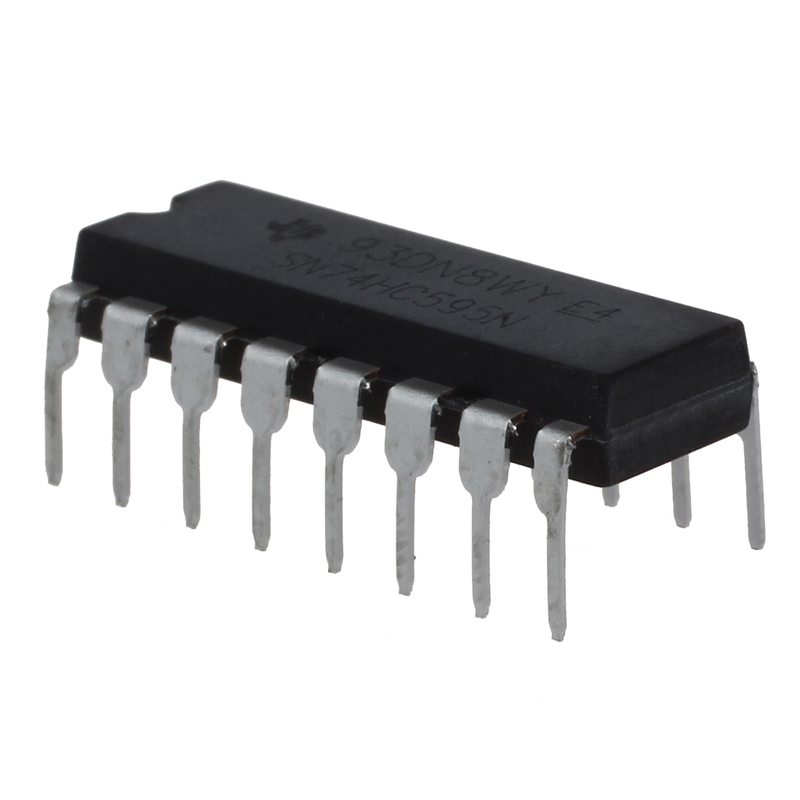 This tutorial will first explain the inner workings of common IR communication protocols. 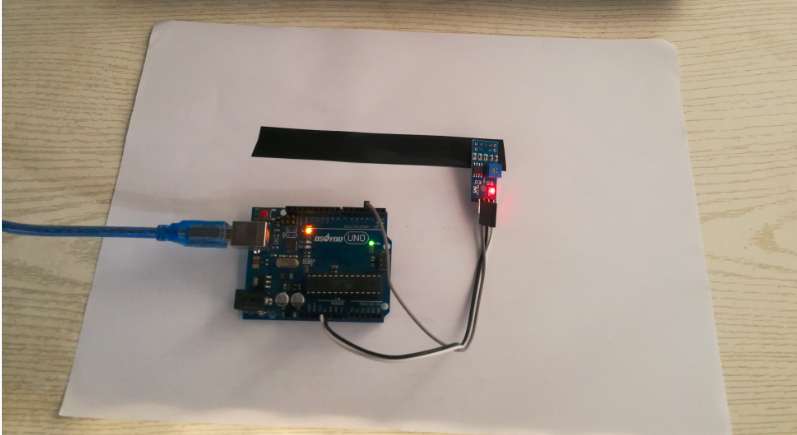 Then we will go over three examples that will allow you to transmit and receive IR data using an Arduino. 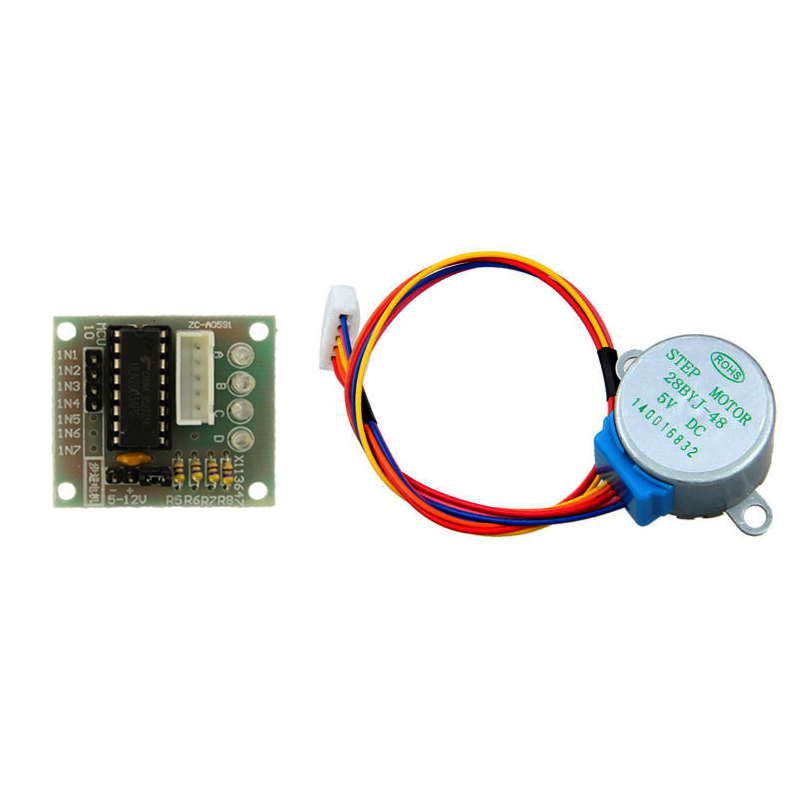 In this example, we will read incoming IR data from a common remote control using the 1838B IR photo sensor. 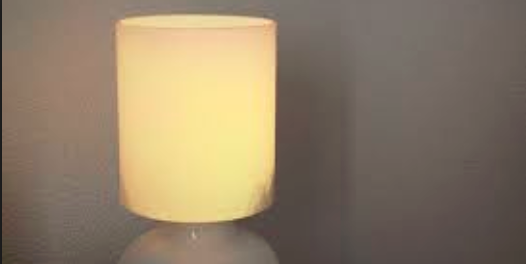 Infra-Red light is actually normal light with a particular colour. We humans can’t see this colour because its wave length of about 950nm is below the visible spectrum. That’s one of the reasons why IR is chosen for remote control purposes, we want to use it but we’re not interested in seeing it. 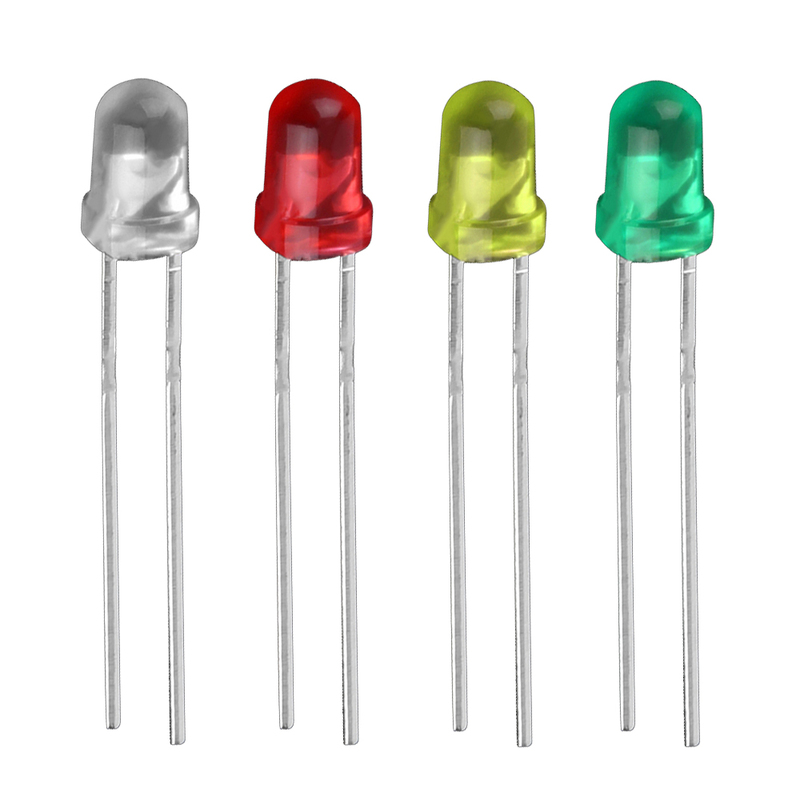 Another reason is because IR LEDs are quite easy to make, and therefore can be very cheap, thus making it ideal for us hobbyists to use IR control for our own projects. We need to konw there are many more sources of Infra-Red light. The sun is the brightest source of all, but there are many others, like: light bulbs, candles, central heating system, and even our body radiates Infra-Red light. A common modulation scheme for IR communication is something called 38kHz modulation. There are very few natural sources that have the regularity of a 38kHz signal, so an IR transmitter sending data at that frequency would stand out among the ambient IR. 38kHz modulated IR data is the most common, but other frequencies can be used. 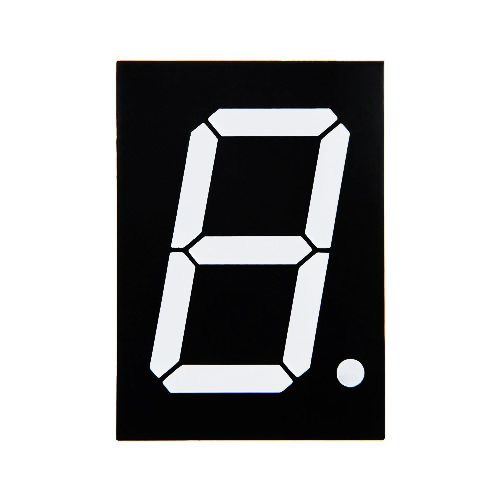 When you hit a key on your remote, the transmitting IR LED will blink very quickly for a fraction of a second, transmitting encoded data to your appliance. If you were to hook an oscilloscope up to your TV remote’s IR LED, you would see a signal similar to the one above. This modulated signal is exactly what the receiving system sees. 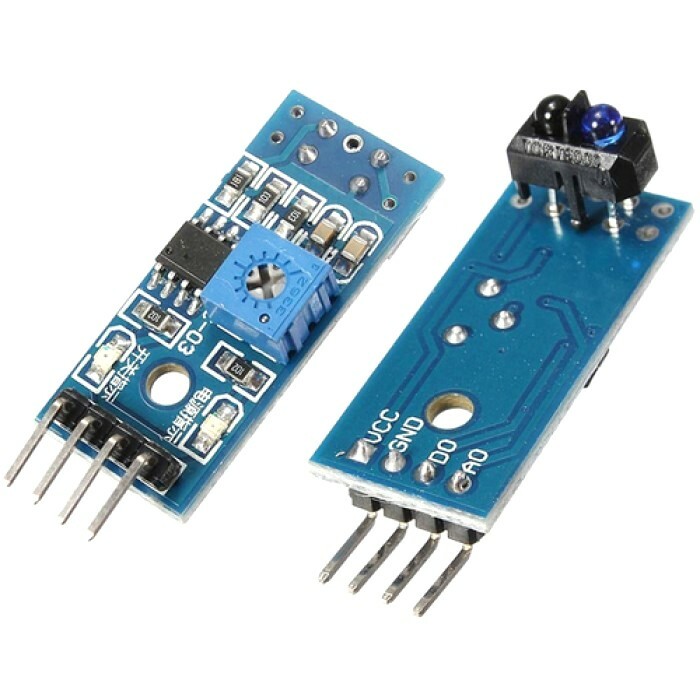 However, the point of the receiving device is to demodulate the signal and output a binary waveform that can be read by a microcontroller. When you read the OUT pin of the VS1838B with the wave from above, you will see something like the second. As everything that radiates heat, also radiates Infra-Red light. 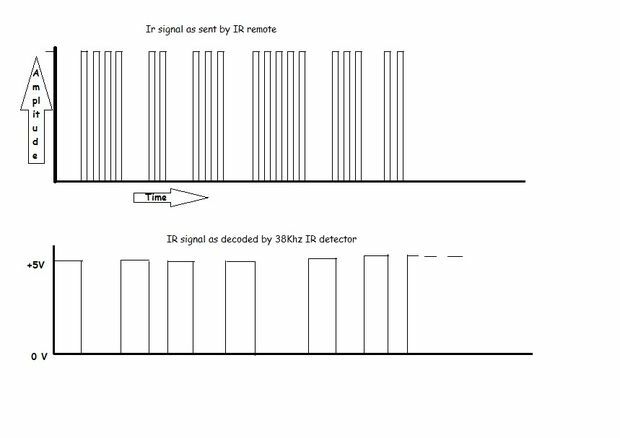 Therefore we have to take some precautions to guarantee that our IR message gets across to the receiver without errors.Modulation of the signal on a carrier frequency is the answer to make our signal stand out above the noise. With modulation we make the IR light source blink in a particular frequency. The IR receiver will be tuned to that frequency, so it can ignore everything else. 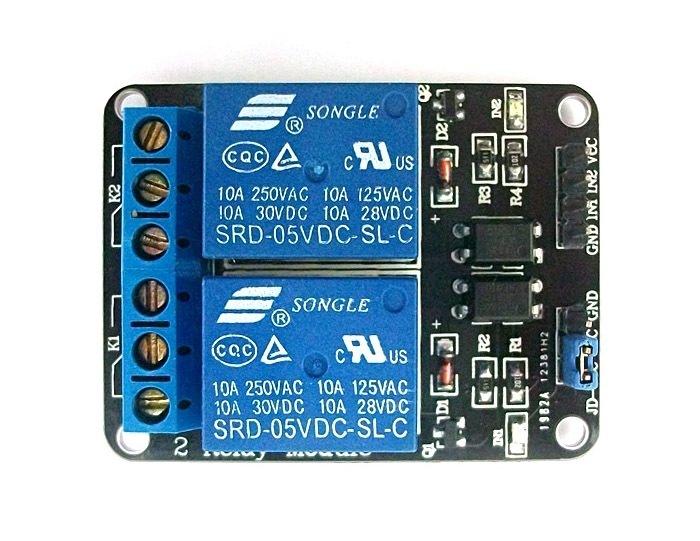 In the picture below you can see a modulated signal driving the IR LED of the transmitter on the left side. The detected signal is coming out of the receiver at the other side. 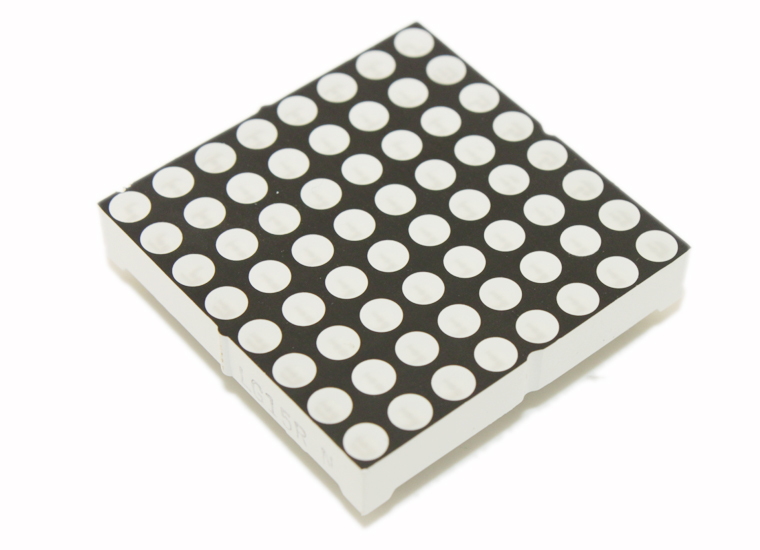 Infrared remotes are still the cheapest way to wirelessly control a device. 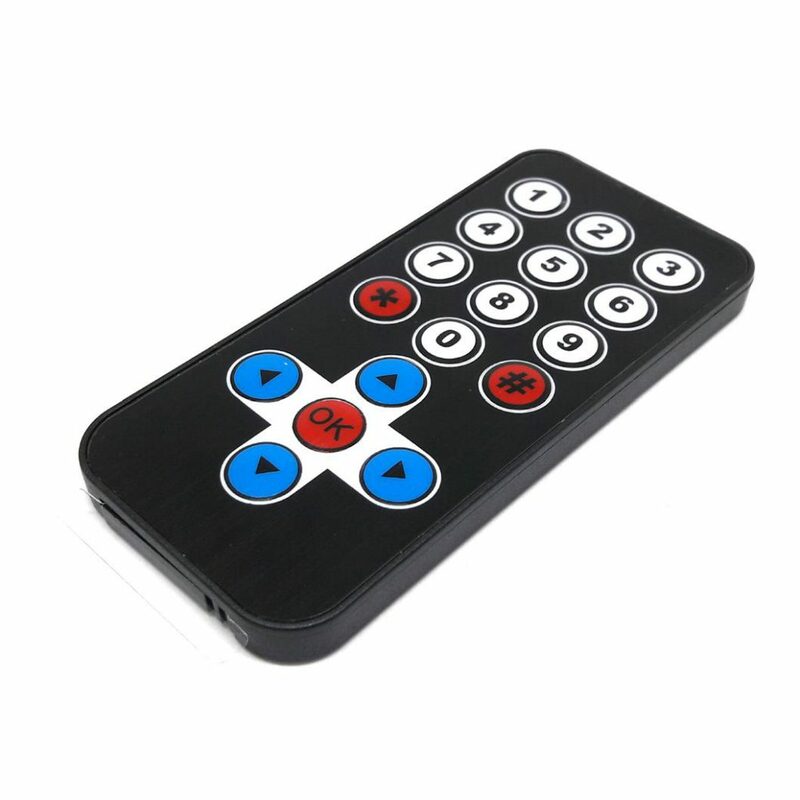 We have designed the remote to be small, very simple, and low-cost.There are many different IR remote controls. all of these may have different encoding methods and number of physical buttons, and different codes received when a button is pressed. 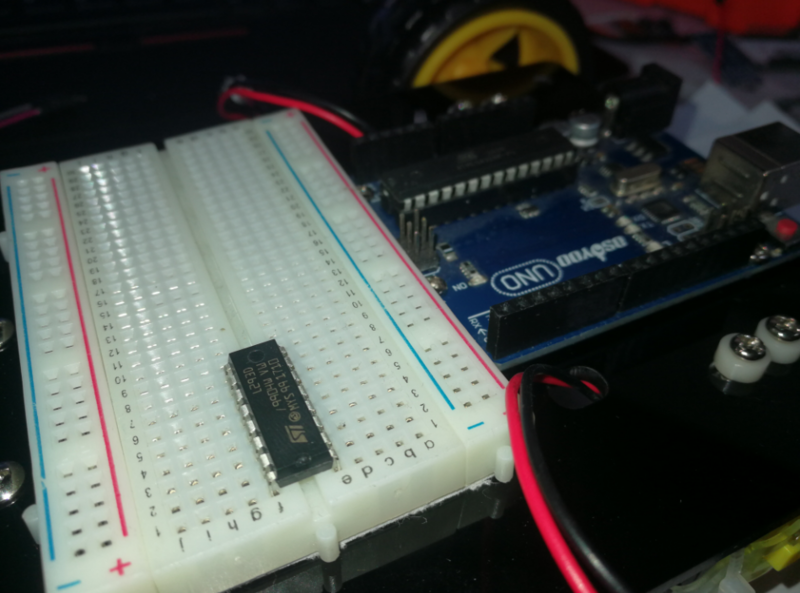 This example will show you how to read IR remote codes from any IR remote using the VS1838B IR receiver and an Arduino. 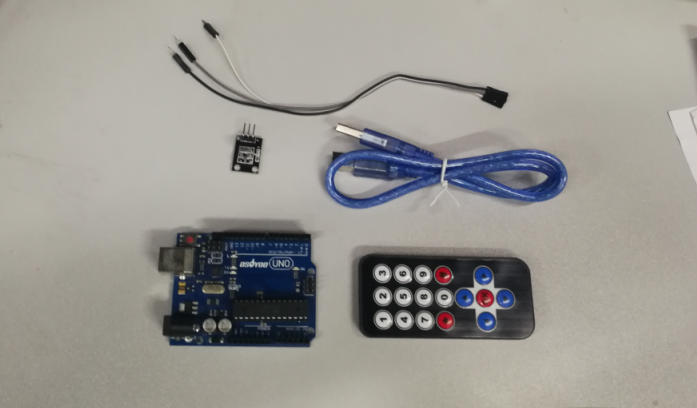 Once you can receive codes from individual button presses, your remote control and Arduino become a general purpose, short range, communication interface! Drag out the IR Control block from the Communications. 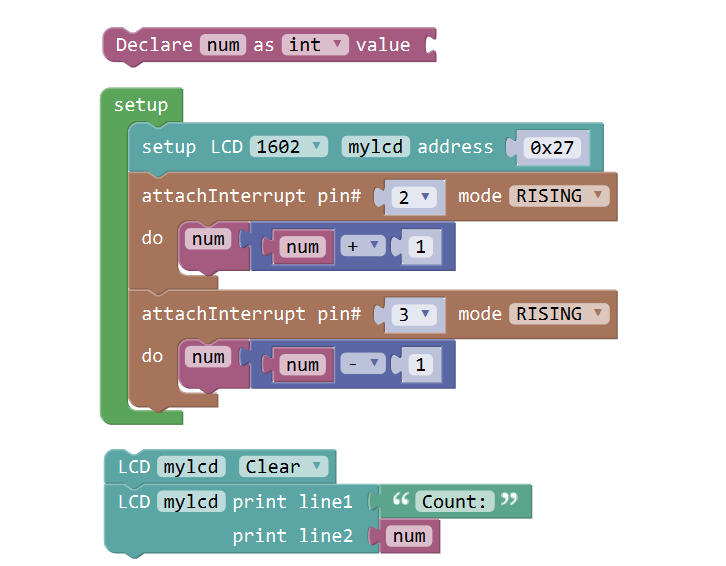 Connect the IRreceive PIN to D3. The sketch will automatically decode the type of remote you are using and identify which button on your remote is pressed. 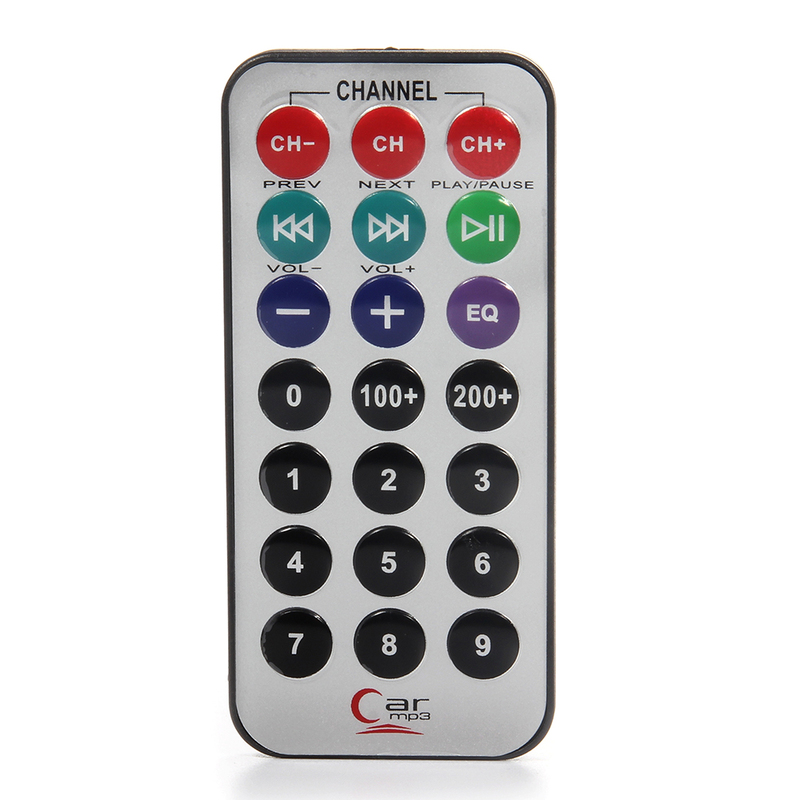 Open the Serial Monitor in the Mixly at 9600 bps and hit different buttons on your remote.